Salesforce has recently announced their Summer 2016 Salesforce MVPs. Here I am with this post congratulating all new MVPs with a bit of intro about them and what awesome they do in Salesforce World !! 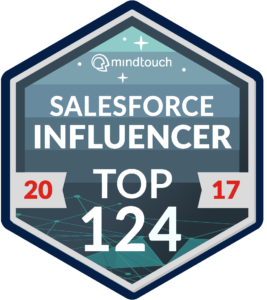 Let’s deep dive into the briefs of new 21 Salesforce MVPs…. Adam Olshansky is 11x certified professional and currently working as a Salesforce Developer at YouTube. He is Trailhead addicted(110 Active Badges) and handling Trailhead LeaderBoard. He featured on SFDC99 for earning 5 certificates in only 6 weeks. Adam has a blog and co-host of a podcast, enjoys giving back to the community for those who have helped him. If you haven’t read his blogs yet, do not miss them. One of my favorite blogs is “Start Your Salesforce Journey“. He also spends his time to do volunteer with VetForce, RAD Women, and spreading the Salesforce love on Twitter and LinkedIn. Want to know more about him? Check here. Adam Kramer is 2x SFDC Certified professional and working as a Senior Project Manager for one of Salesforce.org’s partner companies, KELL Partners. He is also #NPSP Advisory Board Member, Speaker at NTC, Southeast Dreamin, and Midwest Dreamin. He is an awesome contributor for implementing Salesforce solutions and best practice consulting services for nonprofits.He is working as a superhero solving complex problems for Salesforce.org customers and enjoys volunteering and restoring his 100+yr old house, with a little help from his pet Chihuahua. I love his post about Dreamforce an absolutely must attend event for Nonprofits and Higher Eds .Want to know more about him? Check here . Jean-Luc Antoine is Certified Technical Architect(7x certified) and working as Enterprise Architect Managing, Principal at Capgemini. In past, he worked as a Principal Consultant for Salesforce at San Francisco, CA. He is an Author of PAD apex framework, AdminBooster and Scripting Toolkit for Salesforce. He was also among top Salesforce 25 in London’s Calling Event. Buyan Kumar is salesforce architect specializing in higher education leading a Salesforce team for Eigenx. He is specialized in marketing automation solutions like Marketing cloud and Pardot. He is doing awesome contributor by his blog for higher education. Want to know more about him? check here . Chester Bullock is working as a VP, Digital Marketing Technology at Trendline Interactive. He involved in digital marketing since the mid-90’s. He specializes in ExactTarget, API, database architecture and salesforce marketing cloud. He is also an author of Salesforce Marketing Cloud For Dummies book. I love his post 6 Tips For Your First Week In Email Marketing. Daniel Peter is 18x certified (Really hats of you) professional and Lead Applications Engineer at Kenandy. He is running user group Bay Area Salesforce Developer Group and prior to that he ran North Bay Salesforce Developer Group. He is doing awesome contribution via his personal blog. I love all his lightning blog posts. He also has spoken at Dreamforce and community events and contributed some articles to salesforce developer blog. Want to know more about him? Check his recent podcast with some personal background here. Martijn Schwärzer is 7x Salesforce Certified and currently working as a Sr. Consultant at Beethree. He is running “Netherlands Salesforce Developer Group“. He is doing awesome contribution using his blog and developer forum community. He was also among 25 people you should meet at Salesforce World Tour Amsterdam. Elena Inurrategui is a Certified Force.com Developer ,Administrator and currently working at La Cle. She is from Argentina, and now living in Vancouver.She is co-founder at La Cle. She is a champ of Power Of Us Hub Community. She was awarded as Hub Hero by Salesforce in July’15 and now a Salesforce MVP !! Gaurav Kheterpal is a well-known Salesforce mobile expert. He has been a Dreamforce Devzone speaker every year since 2012 and is presenting 2 sessions at Dreamforce 2016 as well. Gaurav has been leading the Jaipur Developer User Group for last 4+ years and he’s presented at multiple DUGs across India. He works as Head-Mobility at Metacube, a Salesforce PDO partner in India. Salesforce recognized him as a ‘Developer Success Story’ on their developer blog last year. He was showcased among ‘22 people to follow before Dreamforce‘ in the year 2014. Gaurav ranks among the Top 2% contributors on Salesforce StackExchange and he’s a moderator on the official Force.com Mobile Discussion Boards. Gaurav has also been a speaker at Salesforce World Tour in New York in 2015 and has presented sessions at leading technology conferences such as SenchaCon, DroidCon, TiConf, MobileMonday and several others. He’s also presented several webinars (example – this one) educating people on Salesforce and been involved with Salesforce college campus outreach initiatives in India. He’s won several awards including Salesforce Global Mobile Development Challenge, Hammer of Thor, Appcelerator Enterprise App Challenge etc. He has also been covered on ‘Code Coverage‘ and ‘Admin Hero‘ – leading sites featuring who’s who from the Salesforce community. Jennifer W. Lee well known by Trailhead addict (123 Badges). She spoke at the Boston World tour this year on process builder and at the Salesforce Boston world tour and received the awesome admin award. If you are planning for Dreamforce this year then you can attend her session presenting in Dreamforce16 for the first time in 3 sessions (Related to process builder/flows).She also volunteered her awesome admin knowledge at the Ask the Experts booth at the NYC and Boston World Tours. She is very active Member of the Boston User Group, Boston WiT, and Social media manager for WiT_Diversity. For sharing her love of Salesforce with the world, she is running her blog . She is an active member of the success community and active on Twitter, sharing information about Salesforce and interacting with the community. She was also featured in Girly Geeks of the week. Kalman Sweetwine is Certified Admin and Certified Sales Cloud Consultant and woking as the Lead Salesforce.com Analyst at the University of Colorado Boulder. He is Denver Salesforce.com NonProfit User Group Leader/Founder and awesome contributor to GitHub. He is also a steady contributor to the Power of HUB Community.Want to Know more about him? Check here. Katie McFadden is the Director of Professional Services at Swift River Consulting and automation designer for nonprofits.She focuses on Salesforce implementations for nonprofits worldwide and targets small but highly motivated organizations as her market.She doing awesome contribution to NPSP as well. Michael Slawnik is a certified Admin and currently working as an IT Applications & Development Manager at Interlochen Center for the Arts. He is a co-leader of the Traverse City Nonprofit User Group. He is a champ of Power Of Us Hub Community and was awarded as Hub Hero by Salesforce in November’15 and now a Salesforce MVP !! Rebecca works as a Business Analyst for Internet Creations . She was a recipient of Salesforce’s Awesome Admin award, earning the honor in 2015, the first year the award was offered.Today, she is a 5x certified leader of the Dallas Fort Worth Women in Tech User Group (formerly the DFW Girly Geeks) and a co-founder of the Dallas Fort Worth Study Geeks (A group dedicated to helping people preparing for their 201 and App Builder certifications). She volunteers for nonprofits through Jericho Road, an organization that pairs non-profits in need of Salesforce help with Admins who want to give back and was a Midwest Dreamin 2016 speaker. Shonnah Hughes is currently working as CRM Technical Lead at Minneapolis Institute of Art. I love her Girly Geek Chapter. She was Winner of the Dreamforce Journey to the future video contest . She is running WIT Diversity Group as Leader , Minnesota Women In Tech Group as a Co-Leader and Minnesota Salesforce Study Group as a Leader.She is also doing awesome contribution using her blog and salesforce collaboration community. Vered Meir is a certified Salesforce administrator and developer with over ten years of experience in the nonprofit sector and currently working as an IT Business Analyst at Year Up. She is a champ of Power Of Us Hub Community. She is also running her personal blog. Mayank Srivastava !! So who doesn’t know him? I am his big fan. He is an answers community contributor with around 8k Answers and 2100+ Best Answers. He is 13x certified and currently working as a Senior Consultant at Acumen Solutions. His success story featured on David Liu’s site and on Brent Downey’s blog. He helped numerous people who passed the ADM 201 exam through his own study groups with a 100% success rate so far(all 22 folks have passed their exams) which is incredible.Want to join the next one? You can join him here . He is also running his own personal blog at SUCCEED WITH SALESFORCE . Vinay Chaturvedi is a Salesforce community hero for Noida User Group. He is 4x certified and currently working as a Salesforce Consultant/Developer at Fujitsu. He is a Leader of Noida User Group and also runs Salesforce User Group Office Hours Call for APAC Region. He recently featured at Eric Dreshfield’s blog . He is doing awesome contribution using Salesforce answer community and running his own blog. He is the big fan of Salesforce answer community and posted the number of the blogs about Salesforce community Answer leaders. Want to know more about him? Check here. Calvin Smith is 6x certified Salesforce professional and currently leading efforts to organize & launch DallasGiveForce which will be an ongoing program throughout the year to regularly help stand up small nonprofit org in the DFW community that meets his requirements for assistance. He is also a co-moderator on the Success Community in the Jobs Group. Want to know more about him? Check here. Hi! I am Pritam Shekhawat, Salesforce Lightning Champion. I am working as a 6x Certified Senior Salesforce developer as well I am a leader of Noida Salesforce user group. Most important thing which I like about Salesforce is giving back. There aren’t enough words in the dictionary to describe the significance of giving back.